There is a legal cultural shift that began in British Columbia as a result of The Family Law Act coming into force on March 18, 2013. This shift is a direct result of The Family Law Act requiring lawyers to assist their clients whenever appropriate and use alternative dispute resolution processes to reach effective family law agreements in a timely way without going to court. The caveat to this is that the dispute resolution professional (as defined by the Act) has screened the individual for family violence issues and has determined that there is a process other than court which is appropriate and in doing so considers that the process chosen must support a process of fair negotiation taking into account the family violence framework as set out in the Act. Part 4 of the Act is a clear direction to family alternative dispute resolution practitioners to educate themselves and their clients with respect to cooperative and collaborative approaches to resolving family law disputes. The reality in family law is that most cases do and should settle and that families and in particular with children deserve an approach that will “do no harm” which ought to be the credo of every lawyer involved in the resolution of family disputes. Create parenting arrangements respecting contact with a child that is in the best interests of the child. Conflict – cause. What does the conflict look like when it takes place? Complexity of financial matters and what will you be looking for in disclosure – are there disclosure issues already? Complexity of parenting issues – what is parenting history; what are differences in parenting philosophies? Has there been Ministry involvement? Are there collaterals who contribute to conflict or who can assist with the facilitation of dialogue through conflict; etc. The Family Law Act mandate to make the family law environment a kindler, gentler place is both important and laudable. The lawyers at MacLean Law are committed to something more than lip service and we are striving to put these important legislative words into action by providing our clients and the community with family directed services which will serve them well after we are no longer involved in their lives. At MacLean Law we have lawyers who are trained and certified as mediators, arbitrators, collaborative law practitioners and all of our lawyers are skilled negotiators who have you and your family’s best interests at heart. We promote continued leadership, mentorship and training in these skills and look to empower you in your negotiations and litigation such that you can move forward with your life in a positive and constructive way. If you are in distress and need a family legal team on your side, call Nick Davies, or Audra Bayer. 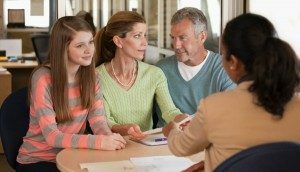 The MacLean Law dispute resolution team can provide parenting coordination, mediation, arbitration, collaborative law and parent coordination services. MacLean Law has offices in Vancouver, Surrey, Kelowna, Calgary and Fort St. John and can serve clients across BC.